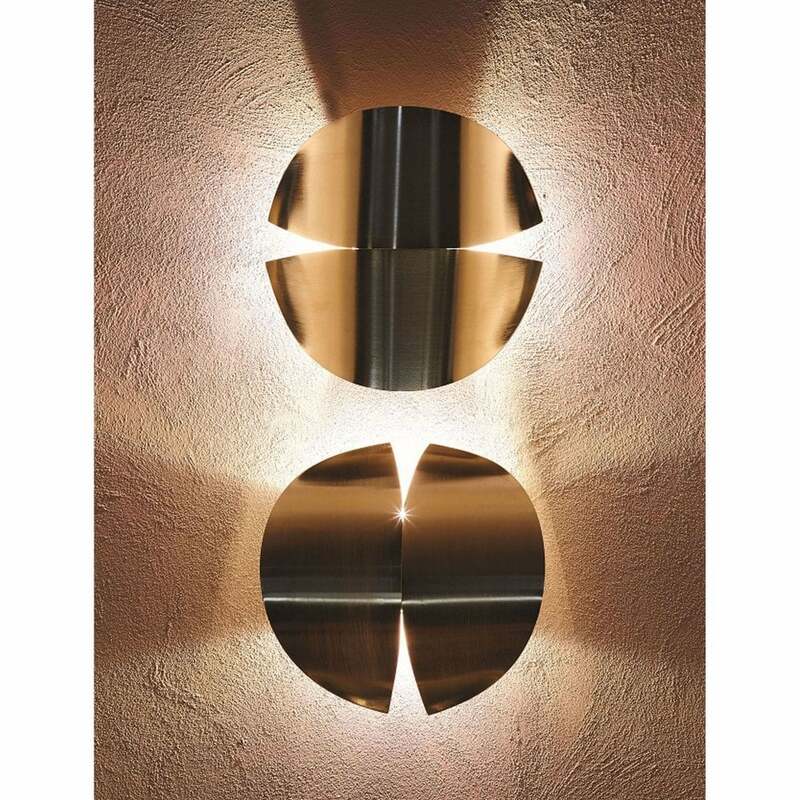 A sculptural wall lamp that resembles a piece of art, the Duo Wall Lamp by Rugiano features a circular design crafted from polished brass. The lamp is deconstructed into two pieces forming an elegant shape that is striking yet understated. Combine three together in a vertical design for a contemporary look. Featuring integrated LED bulbs, the light reflects off the metallic surface structure creating a warm glow. Ideal for ambient light in a chic and minimal living room, the Duo Wall Lamp will also add a modern touch to a more traditional scheme. Available in two sizes, make an enquiry for more information.